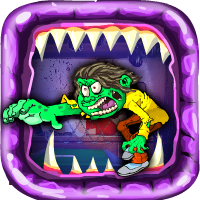 GIRL RESCUE FROM ZOMBIES is another new point and click type Halloween escape game from Games4escape. The girl has been locked by halloween zombie person. Assume that you are in the place where girl has be kidnapped. Try to find the key and help the girl.click on the object to interact with them and solving adventure puzzles. Use your best escape skills. Good luck and have fun.